Pickling olives can be done from a large tin of the Mediterranean's greatest gift to the planet. It comes as no surprise that they are such a strong and vibrant people. I could teach this to a kindergarten child; it's what we call slow food, made fast. The only difficulty arises if you want to bottle them for some distant day; say, for example, if you are growing them, and have half a ton to preserve. For you and me, eating a tin regularly, it takes no more than maybe fifteen minutes from start to finish. They don't keep indefinitely. Even those preserved in brine, once the can has been exposed to air will become moldy within a couple of weeks. The key is to put them in vinegar and olive oil. Different traditions will add their own favourite herbs and spices, fruits and vegetables. This is a bowl of olives I pickled this week, with hummus, an old perennial favourite of ours; together they will make even a plain lettuce and tomato salad famous; it's also known as a chickpea garbanzo bean dip. Their big advantage is that they have all the essential amino acids and non-inflammatory olive oil. In fact, the oleocanthal in olives acts in the same way as the COX inhibitors like Vioxx, but without the side effects. a taste that is old as that of cold water. This old Italian recipe for pickling olives is a basic. 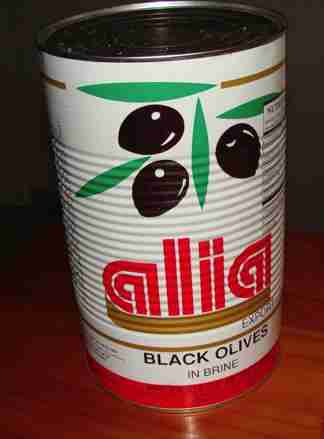 500g black olives (with pits, of course; Italians would utterly turn up their noses at pitted olives!). Paprika, 1 green and 1 red, sliced (Bell peppers). A slither or two of chili (some like it hot, include the pips!). A couple sticks of celery, sliced. A half to one clove of garlic, thinly sliced. Tip: Olives have a subtle flavour, easily drowned out by too much garlic. 100ml olive oil (enough to cover the olives). A couple twists of black pepper from your pepper grinder. Drain the olives, thoroughly wash off the brine, we can all do without extra salt, and tip them into a large glass bottle. Stir, because the olive oil floats on the vinegar. That's it! Child's play. If you insist, pour into sterilised bottles and seal. But that's only necessary if you want them to keep for months. Better still, after two days you can tuck in. As we say in Holland, "Eet smakelijk." Enjoy! Pickling olives can leave you with a large amount of unused olive oil and vinegar. Instead, wash and pickle say one quarter of the can. You can start eating them within 24 hours, so within a week all that remains in your bottle is a mixture of olive oil and vinegar. Wash more olives, chop more of the vegetables, and add to the bottle. Top up with more Olive oil and vinegar. Provided you get the whole can of olives into the Olive oil / vinegar mixture within two weeks all will be well. Pickling olives not only preserves them but enhances the flavour umpteen times. Carefully wash all the brine off the olives. Be thorough. Cover for two days with vinegar; the longer the more vinegary they are. Strain off the vinegar, and immediately start another batch from your large tin using the same vinegar. Add enough olive oil to cover the olives. It's best to refrigerate, unless you go through the sterilising bottles routine which I couldn't be bothered with. You can start eating in a few days. We've usually finished the whole six pounds within a month; absolutely delicious and healthy to boot. The Moroccans use orange instead of lemon; it's worth trying. Astonishingly, we think of olives as being a luxury and expensive; not so. That large can we buy has six pounds of the fruit once you drain off the brine; and it costs about ten dollars. Purchase that amount of pickles in little bottles, and you would pay over forty. This way they are dirt cheap; I eat at least ten olives almost every day. It's time to get started. You may not have a Turkish shop around your corner, like I have in Rotterdam, where you can buy olives in bulk, but where there's a will there is a way. It's all about good, healthy slow food made fast; delicious, and cheap, so you can pig out. Olives contain the wonderful mono unsaturated fatty acids, that are so good for your heart and nerves; and your brain too; it's 60 percent fat, you know. Don't get Alzheimers; think rather olive oil benefits. Google appears to frown on too many links, so phrases in bold, like those salads above, need to be put into the Site Search function in the navigation bar on your left if you want more information. Giannis had a hernia in his cervical spine two years before his first consultation, with pain radiating down to his hand. The condition gradually settled with medical attention but left him with a very stiff neck, and regularly he suffered from tingling in his left arm. We chatted about this and that during the treatment, and it didn't take long for me to discover his family have an olive farm on a Greek island. He brought me a sample; ooh and ah. The best pickles I've ever tasted. Was the recipe a family secret? Surely it must be; but no, after his summer holiday, Giannis brought me the directions. He calls them marinaded. Ten pounds of olives straight from the tree; place them in a bucket with a lid, three quarters full. 2 Tbsp of concrete lime; I suppose similar to that which we use on the garden. 2 Tbsp of wood ash, straight from the hearth. Have you got an olive tree? 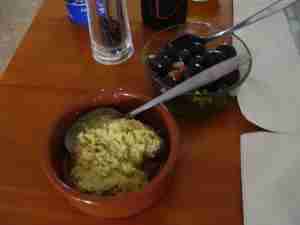 Add the lime and the ash to the olives, and cover with water. After 24 hours, wash the olives thoroughly with clean water. I can't say I've tried to make it. But if I had the raw olives, I would certainly make the effort. In a clean bucket, add all the ingredients and cover the olives with clean spring water, and seal. After three months, Giannis promises that we'll have heaven on earth; oh for an olive tree in the garden. By the way, Giannis's neck is doing great. He comes every six weeks for a grease and spray, and I convinced him to make a homemade traction unit for himself. You may be concerned, and rightly so, about the salt in your pickled olives. Half a cup, about 15 black olives, contains between 700 to 800 mg of sodium; that's about a third of a teaspoon of salt. It's all about balance and frankly it's a fine trapeze act; perhaps you might want to enjoy 5 olives with your Mediterranean lunch; that's about 250 mg of sodium. No more than 2,300 mg per day is recommended. So your five olives would contain about one fifth of the salt allowed per day. Research suggests that traction alone doens't help a slipped disc in the neck. However, in conjunction with Chiropractic care, I'm convinced it helps. Make your own HOME TRACTION UNIT; in combination with a healthy diet including pickling olives you've got a fair chance of recovery with conservative treatment. It's really quite astonishing watching this live traffic feed whilst building this page about pickling olives; folk from six different countries have checked in during the last few minutes; the traffic to Chiropractic help places it in the top 0.4% of all the websites on the net; nearly 20,000 hits most days. Yes, olive oil does cost more than the conventional polyunsaturated oils in your supermarket, and with good reason. There's strong research now proving that omega-6 polyunsaturates like sunflower oil are highly inflammatory in the body; pickling olives is one way to get more foods to reduce inflammation in the body. Joint and muscle pain, inflamed arteries, inflammatory bowel disease are on the cards; does it ring a bell? To prevent this, reduce your polys by changing to olive oil, and increasing your anti inflammatory omega 3 oils. Either spend your money on good healthy food, or spend five hundred times more on doctors, chiropractors, pills.... not to mention the pain. 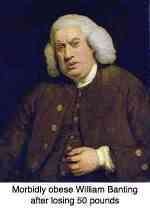 Pickling olives is the other great option; I recommend both. It's not a case of either or. From the chiropractor's healthy living tips you'll always get advice that olives and avocados should regularly be on the menu. They are rich in the oleic acid that coats your nerves. No fatty myelin sheath means no conduction and zero muscle action; have you heard of MS? Enjoy pickling olives. Another thing I really like about olives and its oil is that they are very soothing on the stomach; less indigestion heartburn. Pickling olives should be on the agenda for every family. Best of all for me though has been these kefir benefits which provide healthy probiotics for the whole alimentary canal; it fixed a fifteen year dyspepsia caused by a heliobacter infection in the stomach. "There is a mass of people, we might as well admit, who if they weren't watching television, would be doing absolutely nothing else." Aside: The way of the future, zonder twijfel, without a doubt is ebooks. At a tenth to a quarter of the price, it IS the future. The three books that make up the A Family Affair reviews trilogy will set you back only 99c each, yes, no mistake, 99c each. Stones in my Clog is finished by the way. You can read Chapter One at WHAT HAVE I GOT MYSELF INTO? and download the whole book in less than one minute onto your Kindle, smartphone or tablet - go to Stones in my Clog in the Navigation Bar on the left of www.Bernard-Preston.com. It's only about $3, Amazon's price fluctuates a little. The fun can only start when we turn that damned television OFF!! !